The National Anti-corruption Bureau of Ukraine (NABU) has completed a pretrial investigation into the involvement of an international grain trader in the case of causing $60 million in damage to the State Food and Grain Corporation of Ukraine (SFGCU), NABU reported on its website. "NABU agents have found out that a representative of an international grain trader and SFGCU officials organized a corruption scheme, according to which grain owned by the state-owned company ... was delivered to Saudi Arabia. The NABU agents have proof that the representative of the international grain trader, acting via Cyprus-registered foreign firms, legalized over $40.9 million (UAH 577 million), acting in keeping with the instructions of the organizer of the scheme, who turned out to be a citizen of Hungary," NABU said. According to the information, NABU provided the suspect and the defense with access to the materials of the pretrial investigation. After review by the defense, an indictment will be drawn up for further submission to the court. NABU says it started the investigation into the SFGCU case in July 2016. The agency established that a number of persons, including the ex-chairman of the SFGCU board, were involved in the crime. 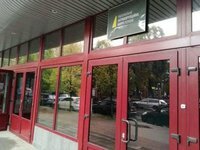 According to NABU, the two suspects "have made a deal with the prosecution and compensated for the damage caused by them in the amount of $60,000." The indictment in relation to the adviser to the chairman of the SFGCU board was sent to the court in January 2018. Two more people are wanted.